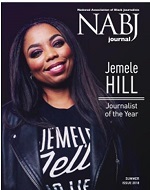 How can NABJ Further Activate King’s legacy? Several high-profile figures highlighted Friday's NABJ Convention plenary session dealing with how to move forward Dr. Martin Luther King Jr.'s legacy of social justice. The session, which started at 4:30 p.m., featured prominent attorney Benjamin Crump, journalist/social activist Shaun King and the Democratic candidate for governor of Georgia, Stacey Abrams. Crump, who represented Trayvon Martin's family in the nationally-watched case, said Dr. King's “Letter from Birmingham Jail” is just as relevant now as it was when it was written in 1963. “Dr. King is speaking to all of us, especially the educated people,” Crump said. “He's talking to the lawyers, judges, politicians, and so with my platform [that] I'm blessed with as an attorney, I'm just opposing injustice when I see it. With this year commemorating the 50th anniversary of the Kerner Commission report and King's assassination, Friday's session will address the new generation of journalists and media professionals and how they seek to navigate through the current climate dealing with social justice. Civil rights leaders compared the past and present, while dealing with King's message of hope, equity and unity.. The panel also included Detroit Free Press columnist Rochelle Riley; Dominique Alexander, founder of the Next Generation Action Network; author Charlene Carruthers; MSNBC reporter Trymaine Lee and professor and author Michael Eric Dyson. Bailey, who also serves as the Missouri Community Newspaper Management Chair, added that solutions need to be made to help people navigate the media better. Alexander of Next Generation Action Network said that when describing the complexity of Dr. King’s legacy, people are conditioned to think only about his dream. Alexander said it's up to us to keep the legacy of Dr. King alive, pointing to his organization’s successful shutdown of the parade in Arlington where Gov. Greg Abbott was set to be the honorary grand marshal. Wendi Thomas founded MLK50: Justice Through Journalism, a nonprofit reporting project leading up to the 50th anniversary of King’s death. The initiative focused on covering economic justice issues such as jobs and wages, power and wealth, and black businesses in Memphis. Thomas’ project tackled several issues, but gained its most significant impact in improving pay for workers. Memphis is the poorest large metropolitan area in the nation. Shelby County’s racial income gap has remained steady since the federal government started keeping records in 1980: Black households earn 50 percent of what white households do, according to the MLK project. The project developed a pay survey that it sent out to 25 of the largest employers in Memphis. While more than a third refused to answer the survey, it found they were not paying employees enough to live on. After it appeared, the City of Memphis, Shelby County Schools and Blue Cross/Blue Shield announced plans to raise pay for their lowest-earning workers to at least $15 per hour. “At least in part because of the work my team did, there are people in Memphis today who are making more than they were four months ago. That’s the kind of thing I hope King would be proud of,” Thomas said. That's how the media can use its power, a message Crump intends to express Friday. “I want to leave the message with them that neutrality in the face of injustice is injustice in itself,” Crump said. “For every Trayvon Martin, I've said that there are a hundred unknown Trayvon Martins where I would want [NABJ members] to tell all about. Darren A. Nichols is a Detroit-based freelance writer. He spent more than 20 years at The Detroit News, primarily covering city hall, including the city’s financial collapse that led to the largest municipal bankruptcy in the country. Local reporters gathered at the 2018 National Association of Black Journalists Convention and Career Fair to help others have more accurate perceptions of the city they love. FOX 2-WJBK sponsored the panel, “The Real Detroit,” that discussed the highs and lows of this year’s NABJ host city. Moderated by Lesli Foster Mathewson of WUSA 9, the panel featured broadcast legend Diana Lewis, her daughter and fellow WXYZ anchor Glenda Lewis, WDIV anchor Rhonda Walker and Bridge Magazine reporter Chastity Pratt Dawsey. FOX 2 reporter Josh Landon assembled the panel and spoke as well. Panelists spoke freely about the challenges faced by Detroiters regarding the “renaissance” the city is experiencing. “People like to say Detroit is on a comeback. Stop lying,” Pratt Dawsey said. “The average Detroiter isn’t experiencing this comeback.” She urged a recognition that the city will not experience a full comeback until job availability and the school system improve. The panel discussed the responsibilities each of them have in reporting on the city they grew up in. Landon, who refers to himself as a boy from the block, shared with the audience the story of his cousin who was shot and robbed as he went to the store. “We have to put these stories out there because the people in the neighborhoods need to know they aren’t forgotten,” he said. Walker, the recipient of the Angelo B. Henderson Community Service award, also talked about how using her platform prompted her to create the Rhonda Walker Foundation. “I wanted girls to feel good about themselves,” she said. The morning anchor tries to give Detroit girls the opportunity to see what they could be even if it isn’t something they see every day at home. Foster Mathewson said that Detroit “puts the black in black power,” prompting the panel to talk about the shift in the city’s leadership, now headed by a white mayor. Diana Lewis affectionately reflected on former Mayor Coleman A. Young’s ability to connect with citizens. The working journalists also discussed covering the city’s changed leadership. “What we need in the city is people in power who are going to do right by the people; doesn’t matter if you’re black or white,” Landon said. The FOX 2 reporter said the change in leadership does lead him to question whether the new development in town could result in a repeat of the historic removal of the Black Bottom neighborhood. 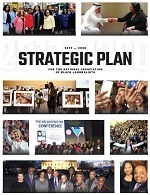 During the 2018 National Association of Black Journalists Convention and Career Fair, the organization bestowed its highest award to five extraordinary people. The new Hall of Fame members — Albert Dunmore, Victoria Jones, Louis Martin, William Rhoden and Bob Ray Sanders — were honored during a luncheon, hosted by media legend Donnie Simpson Friday at the Detroit Marriott at the Renaissance Center. Additionally, several members were recognized during the event. Natasha S. Alford was honored as the Michael J. Feeney Emerging Journalist of the Year. Dr. John Watson received the Ida B. Wells Award. Everett L. Marshburn received the Journalist of Distinction recognition. The Percy Qoboza Foreign Journalist Award went to Chica Oduah. Albert J. Dunmore (posthumous) — Dunmore came to the Michigan Chronicle in 1961 as managing editor and executive editor after 20 years at its sister publication, the Pittsburgh Courier. He arrived during turbulent times in Detroit and the nation and used his leadership position to pen columns that demanded civil rights legislation and also challenged the African-American community to commit to self-determination. He left the newspaper in 1968 to join Chrysler Corporation as its urban affairs specialist. He died in 1989. Victoria Jones (posthumous) — Jones was a pioneering and prolific television news producer in Boston. Starting in the 1970s at WGBH-TV, she worked with Topper Carew on the nationally syndicated program “Say Brother.” Jones covered four presidential elections, Nelson Mandela's visit to America and major news stories in Boston. While producing, she earned a Masters in Education with honors at Harvard University. She served as president of the Boston Association of Black Journalists from 1986 to 1988, and served as NABJ’s Region I Director from 1995 to 1999. Louis Martin (posthumous) — Martin was only 23 years old when he arrived in Detroit to become editor and publisher of the newly minted Detroit Chronicle, which later became the Michigan Chronicle. In addition to journalism, Martin got into politics, becoming assistant publicity director of the Democratic National Committee during President Franklin D. Roosevelt’s re-election campaign in 1944. He also worked on John F. Kennedy’s presidential campaign, became a friend and advisor to President Lyndon Johnson, and was a senior advisor to President Jimmy Carter. Martin, called the “Godfather of Black Politics” by the Washington Post, was enshrined in the National Newspaper Publishers Association Hall of Fame in 2006. Bob Ray Sanders — Sanders’ journalism career has spanned more than four decades across newspapers, television and radio. After graduating from North Texas State University in 1969, he was hired by the Fort Worth Star-Telegram. As one of the first three African-American reporters hired by the newspaper, he became a trailblazer in North Texas journalism. In 1972, Sanders took a reporter job at KERA-TV, moving all the way up to vice president/station manager for television and radio at the Dallas public broadcaster. He also served as host and producer of the station’s award-winning program “News Addition,” and as executive producer of the PBS series “With Ossie & Ruby.” In 1986, Sanders returned to the Star-Telegram and worked until retirement in 2015. Known as the dean of journalists in the Dallas-Fort Worth area, he is past president of the Press Club of Fort Worth. The NABJ Hall of Fame was created in 1990 when 10 distinguished journalists became its charter members.